Working in Early Years childcare and education can be the most satisfying work you ever do. If you love children, love connecting and love learning, we can help you be the best you can be. 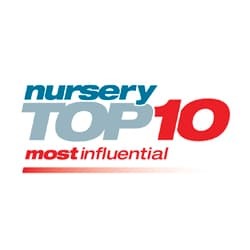 We are very proud to have been recognised in the NMT 2018 Awards as being amongst the Top 10 most Influential people in the Early Years sector. At PurpleBee, we believe that the secret of happy children is a happy staff team who model healthy choices in their work and in their own lives. Join us and we’ll share with you our proven award-winning formula for Early Years positive childhood education and wellbeing. Jumpstart your career with our new generation training that blends workflow learning and personal coaching with the latest in learning technology. It’s a fun, challenging and intuitive way to learn, designed to fit with your life and to build practices that will transform how you work. Our training is all about impact so we are designing ways to help your organisation become a place of learning – for children, staff and families. The good news is you already have the resources you need; through mentoring and coaching you will tap your own strengths – and those of your team – and find renewed energy and enthusiasm for your work. 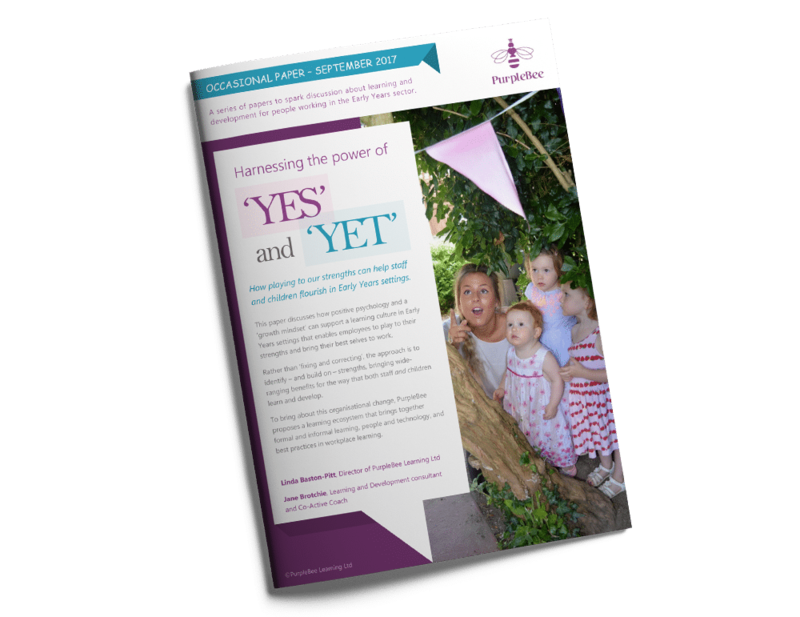 Download our FREE Occasional Paper: Harnessing the Power of Yes and Yet and find out how you can develop a healthy learning ecosystem in your Early Years setting. Find out how PurpleBee can help you build on your strengths and enhance your career. Our training is all about impact so we are designing ways to help your organisation become a place of learning – for children, staff and families. Find out how PurpleBee can help you develop your staff and promote health and wellbeing in your Early Years setting. Catch up on the latest news and developments. Linda, CEO PurpleBee, urges settings to support the new campaign, led by Children First, for a Secretary of State for Children. Lisa Weston and Gemma Hobson ( OSHN and PurpleBee) introduce the online mentoring training programme they devised and piloted, which helped win the Training category of the NMT Nursery Awards 2017! Our sector now appreciates the importance of child wellbeing as an integral part of the curriculum, but we need to ensure that our staff are also on board if we want them and our nurseries to truly flourish. 2018 © PurpleBee Learning Ltd. All rights reserved.